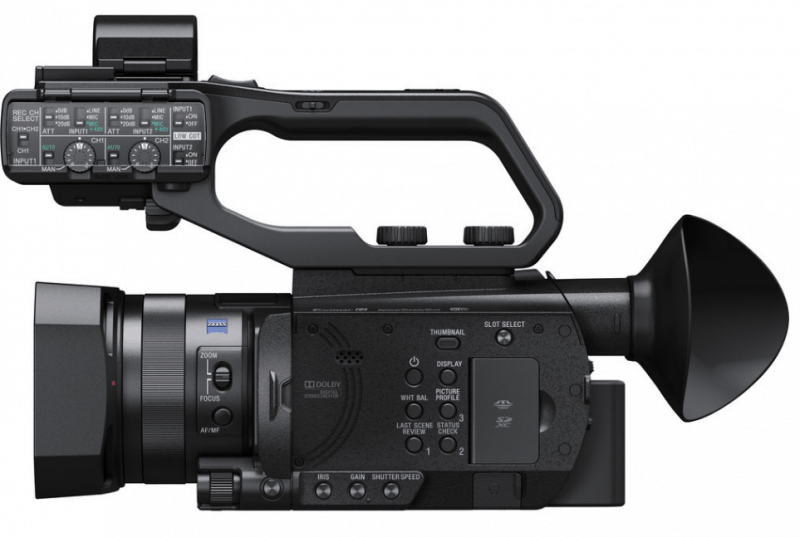 Announced by Sony two years ago, the PXW-X70 is said to be the smallest camera to hold an XDCAM badge and is “4K” ready. The Sony PXW-X70 boasts of a sensor that is larger than the Super 16mm film frame, the 1.0” type Exmor R CMOS sensor with a resolution of 20 megapixels. 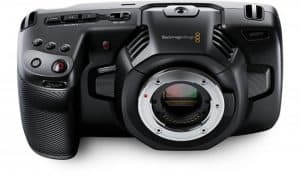 One of this camera’s capabilities is to record High Definition in XAVC Long GOP and enables 422 10-bit sampling at 50 Mbps and in turn allows for a broadcast-quality workflow that is apt for professional applications. This model also has basic as well as advanced features such as simultaneous recording via the dual memory card slots. Control of the operation via a mobile device is possible with WiFi connection. For the 4K upgrade that will allow recording in 4K as well as Full HD, an upgrade license key specifically for the Sony PXW-X70 model is available. This provides QFHD shooting support at 30p/24p. The Sony PXW-X70 with 4K upgrade is compact in size, exactly the same as a conventional 1/3” professional compact camcorder but better, in terms of sensor size. This palm-sized camera recorder is portable and easy-to-transport, making it perfect for action shooting like in events, sports and newscast. It also has an ergonomic palm-grip that is thick enough for better handling and integrated with a large zoom lever. 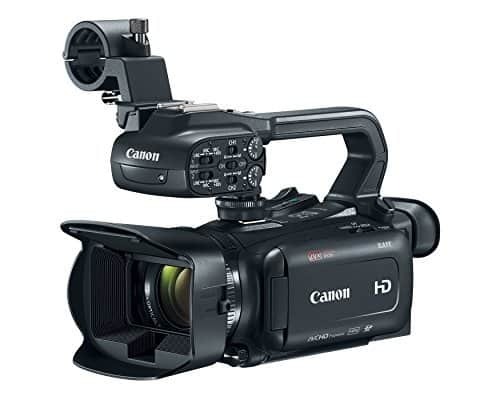 Weighing less than three pounds even with the XLR handle unit, battery pack, large eye-cup and lens hood, this professional camcorder is a powerful equipment that offers excellent features at an affordable price. 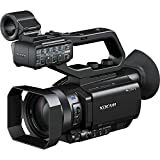 Aside from the features mentioned above, the Sony PXW-X70 has professional interfaces, such as the XLR zoom lever, HDMI and 3G-SDI output connectors and a manual lens ring that has the capability to control focus and zoom. The two SD memory card slots makes simultaneous recording possible as well as relay recording. These slots are also useful for storing files for backup. The large 1” Exmor R CMOS sensor is useful for high resolution results, high sensitivity and low noise. It also allows for a variety of shooting range. Moreover, the 14.2 million effective pixels make it possible to shoot and record even in low light conditions. 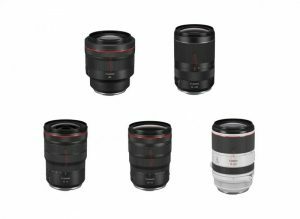 A fixed ZEISS Vario-Sonnar lens is 29 mm wide-angle type and provides up to 12x optical zoom. This optical zoom can be doubled to 24x via the Clear Image Zoom. With the Digital Extender, however, it can reach up to 48x zoom. For the option to choose four conventional mechanicak ND filter positions, this camcorder also has an ND Filter function. Aside from WiFi/NFC connectivity, other wireless network features include live streaming and file transfer. 4K recording is also possible via a licensed upgrade. 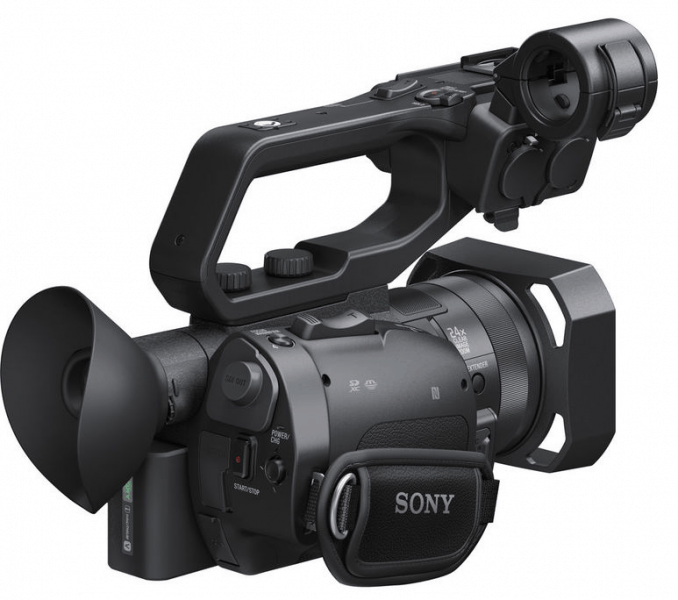 For recording format, the Sony PXW-X70 is capable of multi-format recording that includes XAVC, AVCHD and DV file-based recording. Full HD resolution (1920 x1080) is achievable with the use of MPEG-4 AVC/H.264 CODEC. 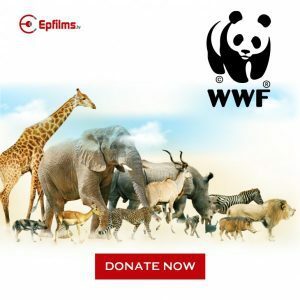 Slow and Quick motion with full HD quality is also available even without the need for extra processing. Other features of the Sony PXW-X70 include a 0.39”- type OLED of approximately 1.44M dots and a 3.5” – type built-in LCD at approximately 1.56 dots. It also has dual XLR inputs, on top of its other features. The Sony PXW-X70 has a number of good points that make it likeable. One is its affordability and value for money in terms of features. This camcorder has many professional features to boast of. 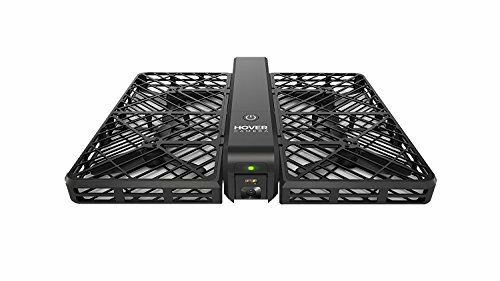 Its size and weight makes it a good choice for video and photography enthusiasts who are on-the-go. The PXW-X70 also sports a large CMOS sensor that makes it more appealing than 1/3” professional camcorders. With its price range, this camcorder has basic and advanced features that makes it better than its competitors. As for the cons, the 4K upgrade is an added expense since this camcorder does not come with an integrated 4K recording capability. The autofocus can be problematic at times when it focuses on other things other than the subject. It also does not have an INGEST plug-in but still, Sony has a free downloadable Catalyst Browse to transcode and manually import it. As for the zoom ring, it is somewhat clunkly as it tries to quickly zoom-in on a subject. 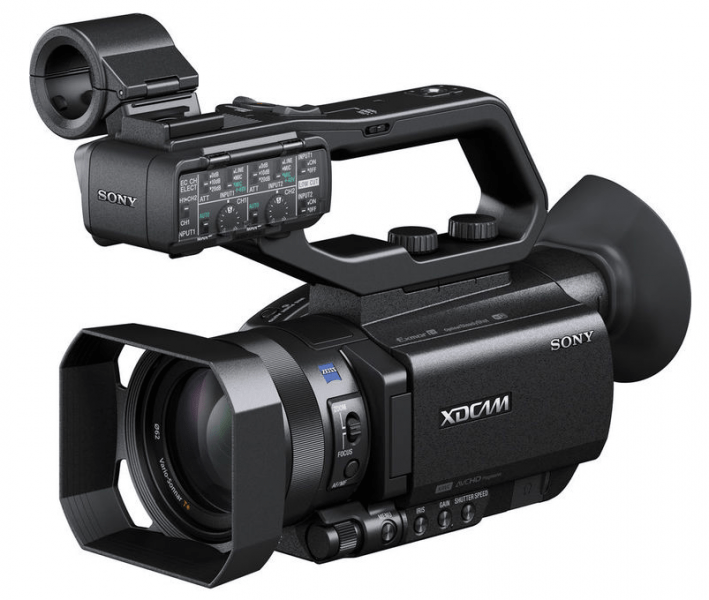 Overall, the Sony PXW-X70 is an affordable, compact and powerful camcorder that has professional features. While there are a few setbacks, the great features as well as the price of this camera make up for what it lacks. 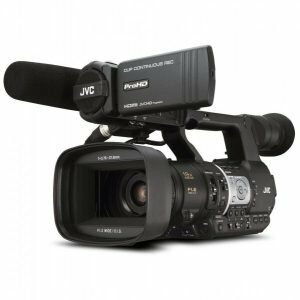 The PXW-X70 is a great camcorder for professional applications.